Authorities on alert over Java volcano Jump to media player Although conditions are improving on the island of Java after the volcano Mount Kelud erupted twice, Indonesian authorities have kept a 10km exclusion zone in place around the volcano to err on the side of caution. 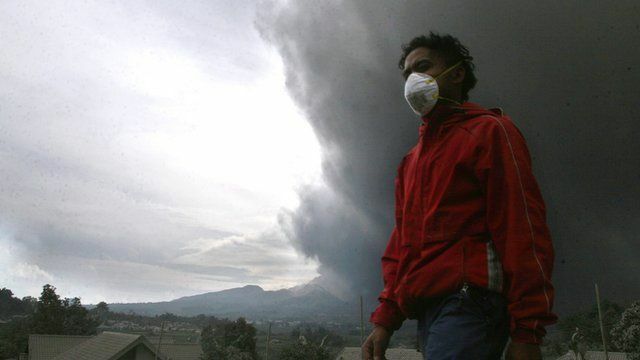 'We are wearing masks inside' Jump to media player A volcano has erupted in east Java spewing ash and debris over a large area. Francisca Maria, from Yogyakarta, told BBC News she and her family are wearing masks inside her home. 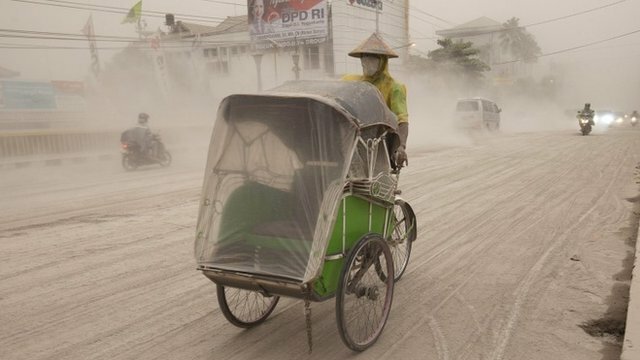 More than 100,000 people have been evacuated from their homes on the Indonesian island of Java after the volcano, Mount Kelud erupted twice. Three people died when their homes collapsed under the weight of debris. Reporter Alice Budisatrijo sent this update to BBC World News' Daniela Ritorto.